UTKARSH ANAND explains the history of legislation on conversion. 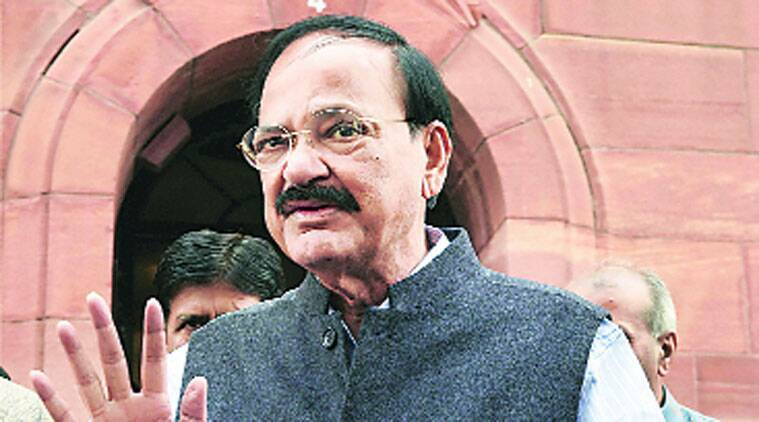 Amid chaos in Parliament over alleged forced religious conversions in Agra, Parliamentary Affairs Minister M Venkaiah Naidu on Thursday called for central and state anti-conversion laws. What does the Constitution say on freedom of religion? Articles 25-30 guarantee citizens freedom of conscience and free profession, practice and propagation of religion. They also guarantee freedom to manage religious affairs, monetarily contribute to promotion of any religion, and to set up and administer educational institutions. Was there a law on conversion before Independence? The British did not enact any law. But many princely states did. Examples: Raigarh State Conversion Act, 1936, Patna Freedom of Religion Act, 1942, Sarguja State Apostasy Act, 1945, Udaipur State Anti-Conversion Act, 1946. Specific laws against conversion to Christianity were enacted in Bikaner, Jodhpur, Kalahandi and Kota. In 1954, Parliament took up for consideration the Indian Conversion (Regulation and Registration) Bill. Six years later, another law, the Backward Communities (Religious Protection) Bill, 1960, was proposed to stop conversion. Both were dropped for want of support. However, Orissa, Madhya Pradesh and Arunachal Pradesh passed anti-conversion laws in 1967, 1968 and 1978 respectively. Later, similar laws were passed by the state assemblies of Chhattisgarh (2000), Tamil Nadu (2002), Gujarat (2003), Himachal Pradesh (2006), and Rajasthan (2008). The laws were intended to stop conversions by force or inducement, or fraudulently. Some of the laws made it mandatory to seek prior permission from local authorities before conversion. What offences do forced conversions attract? These laws made forced conversion a cognisable offence under sections 295 A and 298 of the Indian Penal Code, which pertain to malicious and deliberate intention to hurt the religious sentiments of others. They attract a prison term of up to three years and fine. The punishment, in some cases, is harsher if the offence is committed against a minor, a woman or an SC or ST person. What legal challenge have these laws faced? The first major case in which the Supreme Court ruled on the freedom of religion and on conversions related to petitions challenging the conversion laws of Orissa and MP in 1967-68. In 1977, a constitution bench headed by then Chief Justice of India A N Ray upheld the validity of the laws, saying freedom to propagate one’s religion, as stipulated under Article 25 (1), did not grant a fundamental right to convert another person. The bench ruled that a purposive conversion would impinge on the “freedom of conscience” guaranteed to all citizens. What are the other significant judgments on conversion? In the Sarla Mudgal case (1995), the Supreme Court held that conversion to Islam was not valid if done only in order to be able to practise polygamy. It was held to be an act of bigamy prohibited u/s 17 of Hindu Marriage Act, 1955, and punishable under Section 494 IPC. The second marriage would be void, the SC observed. This position was reaffirmed by the judgment in the Lilly Thomas case (2000), which clarified that prosecution for bigamy was not a violation of the freedom of religion under Article 25. In the Vilayat Raj case (1983). the court said that if both parties were Hindu at the time of marriage, provisions of the Hindu Marriage Act can apply even after one of them or both converted to Islam. In the Chandra Sekaran case (1963), the court had observed that a person does not cease to be a Hindu merely because he declares that he has no faith in his religion, or if he stops practising his religion. When was the last attempt made at a central legislation? In 1978, an All India Freedom of Religion Bill was introduced in Lok Sabha. However, it was never discussed, and was dropped after the government fell in July 1979.